Dr. Jack Terhune studies seal communication at the University of New Brunswick and has measured the amplitude of seal calls. His research has shown that harp seals, often living in groups of up to 150, can alter the pitch of their calls so that each seal can be heard. Off the coast of Newfoundland there are between 5.5 and 6.5 million harp seals in regular migration up and down the eastern seaboard. 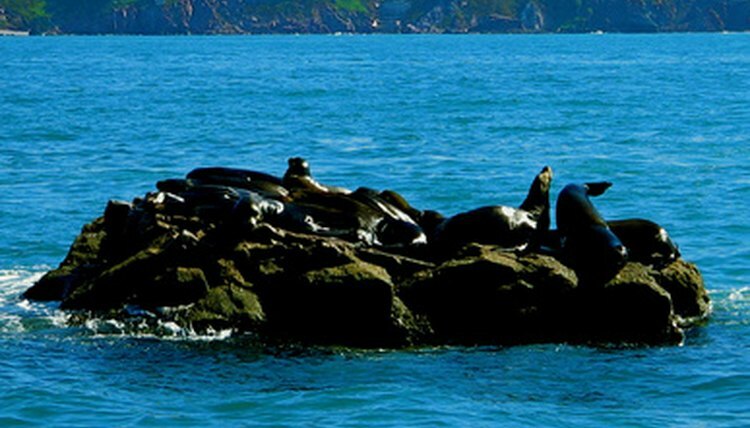 One seal’s call could be heard by 10,000 other seals at a range of two to four kilometers away, so the changes of pitch and frequency are important to avoid overlap. Seals can also communicate through movements. Harbor seals slap the water with their bodies or flippers to show aggression. Posing or similar aggressive displays are common in courtship as well. 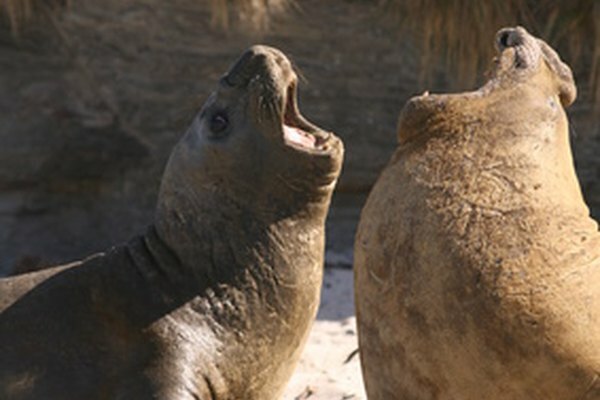 Elephant seals are famous for the beach battles, in which males fight for control of a rookery or breeding colony. The strongest fighter can breed with the females on the beach. Full-grown males rise up to their full height to launch their attacks while making guttural throat noises to intimidate the opponent. The physical pose and raised position of the males nose is a call to fight. Pups, or baby seals, also call out more often than adults. Harbor seal pups make a sheep-like noise that their mothers can distinguish individually. This kind of communication shows the strength of the initial bond between the baby seal and its mother, who only gives birth to one pup at a time.